School is out and everyone is racing to the lake. Cell phones are turned off and you’re ready to relax — but wouldn’t your vacation be more peaceful if you knew that your friends at the Piatchek Law Firm were taking care of those legal loose ends you’ve left behind? 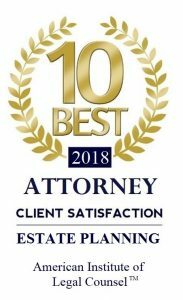 In this newsletter, we will take a look at how the Piatchek Law Firm can save you money with Criminal Law, Civil Litigation, and Real Estate Litigation services. Keep reading for a feature on our founder and managing attorney, Joseph J. Piatchek, and learn about the town where nearly everyone has an advanced healthcare directive. Our attorneys take a time tested and professional approach to criminal defense, and our record reflects this. Backed by years of experience, we are able to pair the right attorney with your case, ensuring that you receive the best representation possible. As a full service law firm, we are prepared to take on any case, whether it’s a traffic ticket, DWI, DUI, drug charges, misdemeanor, felony, or white collar crime. Although we are prepared to take any case all the way, we don’t believe in charging our clients for services they don’t need. That’s why if you choose to accept a plea bargain with your case, you can rest assured that you won’t be paying the full cost of going to trial. With free consultations,negotiable payment options, and a commitment totransparency, you can feel certain that the Piatchek LawFirm will provide affordable legal services without sacrificing quality or limiting your options. Joseph J. Piatchek was born and raised in Springfield, Missouri, and has spent most of his life working for his community here in the Ozarks. He received his undergraduate in psychology from the University of Missouri-Columbia, and upon returning to Springfield began working at Lakeland Regional Hospital, where he gained valuable insight into the world of public service and the Missouri legal system, before deciding to attend law school. After graduating and passing the Missouri Bar Exam, he began building his own law firm, and the rest is history. Today, Joseph J. Piatchek works as the managing attorney of the Piatchek Law firm. He also runs a special division ofour law firm, Affordable Legal Services LLC, dedicated to providing solutions to a range of common legal concerns, all at reasonable, flat rates. Joseph is married to Tracy Piatchek, who teaches at Immaculate Conception Elementary in Springfield. They had their first child, Helen Noelle Piatchek, in January 2011. During his free time, Joseph enjoys reading, running, and weight lifting. He has been playing basketball weekly with the same group of guys for nearly twenty years. Do you have an Advanced Health Care Directive? Do you know what an Advanced Directive is? In the town of La Crosse, Wisconsin, it’s weird if you don’t. 96% of people who die in La Crosse have an Advanced Directive or similar documentation, as opposed to the national average of 30%. This high level of AD awareness is the work of Bud Hammes, who works as a medical ethicist at Gunderson Health Systems in La Crosse. Bud would have to sit in with families making decisions about what to do about family members who had suffered strokes, were in comas, or dependent on life support machines. Bud’s solution to the problem was to encourage the hospital to train nurses to talk to people about Advanced Health Care Directives ahead of time — and the trend caught on nationally. Bud is now putting off retirement to help hospitals around the country look a little more like La Crosse.